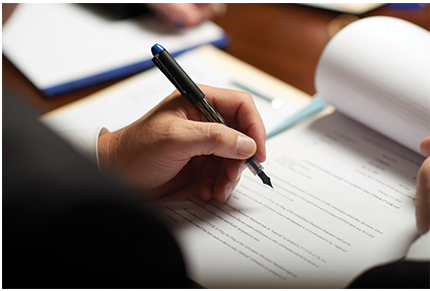 The Patent attorneys of Pittsburgh based Ference & Associates appear as counsel on over 900 issued US patents and can assist you with all aspects of the patent process. A patent is a form of legal protection for intellectual property. It consists of a set of exclusive rights granted by a sovereign state to an inventor or their assignee for a limited period of time in exchange for the public disclosure of an invention. The procedures for granting patents vary widely between countries according to national laws and international agreements. Typically, however, a patent application must include one or more claims defining the invention which meet the relevant patentability requirements such as novelty and non-obviousness. In most countries, the exclusive right granted to a patentee is the right to prevent others from making, using, selling, or distributing the patented invention without permission. many countries, but are typically afforded protection in the United States. Note the USPTO links below do not include all applications or issued patents which have been handled by attorneys of the firm, but only those on which the firm appears as the correspondence address. Click here to retrieve a listing of issued US patents where the firm was of record. Click here to retrieve a listing of published US patent applications where the firm was of record through February 17, 2011. Because of changes in the way the USPTO now publishes patent applications, the USPTO no longer shows Attorney of Record after the publication date of 2/17/11. However, Ference & Associates currently has 460 pending applications which have published since the changes in USPTO reporting. Click here to retrieve a listing of published PCT applications where the Firm was of record. Click here to retrieve a listing of sample issued US patents and published patent applications which have been prepared and/or prosecuted by the patent professionals of Ference & Associates prior to joining the firm.